Ajith's Vivegam made the lifetime collection of Rs 112 crore at the worldwide box office. 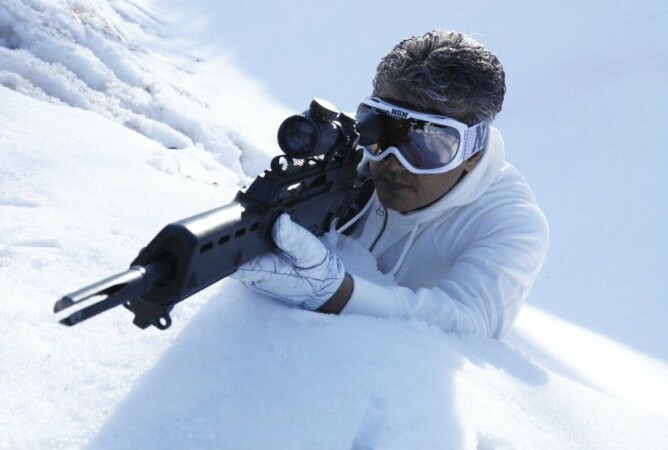 Ajith's Vivegam has reportedly failed to live up to his usual standards at the worldwide box office. The movie, which was released on 24 August, failed to reap profits for distributors despite the movie receiving good response from the viewers in its first weekend. Leading trade tracker Andhra Box Office has declared Vivegam a "flop" movie. As per the website, it managed to recover only 69.6 percent of distributors' share. Vivegam has grossed Rs 56.8 crore with distributors' share of Rs 34.1 crore at the Tamil Nadu box office. The Andhra and Telangana regions have contributed Rs 7.1 crore and distributors got their share of Rs 3.7 ocrore. The Ajith-starrer has grossed Rs 8.4 crore (distributors' share: Rs 3.6 crore) in Karnataka, raked in Rs 4.4 crore (distributors' share: Rs 1.9 crore) in Kerala, while collecting Rs 1.7 crore (distributors' share: Rs 70 lakh) from rest of India. Malaysia has turned out to be the biggest overseas centre for Vivegam where it collected Rs 9.3 crore (distributors' share: 4.7 crore), Rs 7.8 crore (distributors' share: 3.7 crore) in the UAE, Rs 3.8 crore (distributors' share: Rs 1.8 crore) in Singapore, Rs 3.4 crore (distributors' share: 1.35 crore) in the US, Rs 2.7 crore (distributors' share: 1.3 crore) in Sri Lanka, Rs 1.4 crore (Rs 55 lakh) in the UK, Rs 1.2 crore (Rs 50 lakh) in Australia - New Zealand and an estimated collection of Rs 4 crore (Rs 1.6 crore) from rest of the world. The worldwide gross collection of Vivegam stands at Rs 112 crore with distributors' share of Rs 59.5 crore. The worldwide theatrical rights were sold for Rs 85.5 crore and the movie should have collected above Rs 150 crore to be declared a profitable venture, say trade experts. However, the makers of Vivegam had earned Rs 119 crore from the sale of theatrical, satellite and other deals. Vivegam united Ajith with Siruthai Siva for the third time after Veeram and Vedalam. The latest film had Bollywood actor Vivek Oberoi in the role of a villain, while Kajal Aggarwal played the female lead.